Cryptocurrency and bitcoin have seen a strong surge in their price during the last year, The price of Bitcoin has reached its all-time high price the beginning of this year 2018 at 20000 USD, also the major cryptocurrency markets have seen their price going up this year. Investing in cryptocurrency means investing in your future because these digital assets are here to stay for a long-term period and make people wealthy in all around the world. The majority of this digitals assets can only be bought using bitcoin, and BTC is one of the few assets that people can purchase online using Debit cards, cheque, bank transfer, and payment solutions such as Perfect Money, Payeer, Paypal, and Advcash …. etc. 1-how safe is the website and server of the platform? 2- Is it a trustworthy exchange? 3- do they provide transparent data of coins in clod storage? 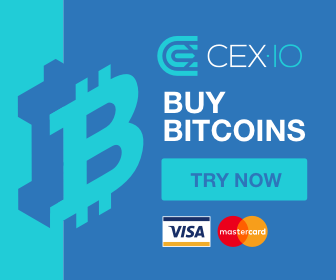 CEX.io is a Bitcoin exchange that also sells BITCOIN via a credit card, this exchange is one of the most reliable exchange services in the world. For example, the exchange rate for 1 ETH on Coinbase is $210.62 while on CEX.io it’s $205.08. However, CEX.io works with countries worldwide (unlike Coinbase). For more information about CEX, please visit their facebook and twitter. PAYBIS is an exchange platform for Cryptocurrency and Digital Currency based in the UK. On this exchange, you can purchase digital currency and Bitcoin directly Using your credit cards. the purchase of bitcoin is possible on the platform using credit cards, the fees are really low compared to other platforms, you will pay only $ 12 on each transaction as a fee for the bitcoin network, and 1% as a fee for the platform, this fee are very low if we make a small comparison with coinbase, spectrocoin and Cex . For example, you have 100 and you need to buy bitcoin, you will receive 87 USD of bitcoin, Because 12 USD will go to the bitcoin network as a fee on the transaction, and 1 USD will go to the platform. For more information about paybis, take a look at their Twitter and Facebook. Coinbase is the first platform in the USA for buying cryptocurrency, it combines an attractive interface, a great site to get bitcoins with a debit card, and multiple online wallets for your digital currency. Over 4,800,000 users are signed up, including 45,000 merchants, and 9000 developer apps. Works well for European, American, & Canadian customers. Buy Bitcoin from Coinbase nowhere for a low fee. This site offers some of the highest buying limits among brokers that accept credit cards. It allows up to $5,000 worth of BTC to be purchased per day, and up to $20,000 worth per month. This platform is one of the oldest Bitcoin brokers in the business. It has been selling bitcoins via credit/debit cards for longer than any other company. This exchange charges high fees for purchasing with a credit/debit card. Its fees are about 6%.